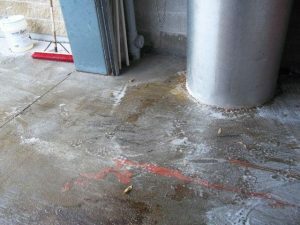 Whether you own a parking garage or a building complex, the concrete in and around your property naturally attract grease, grime, mold and various debris including cigarette butts and the ever-present smashed gum. As an owner, it can be difficult to get tenants or customers to pay profitable parking fees or rent if the concrete is dirty and unkempt. It’s also a reflection on your business in general. Sparkle Washes commercial pressure washing team can determine what power washing services are required to maintain your concrete in and around your property. 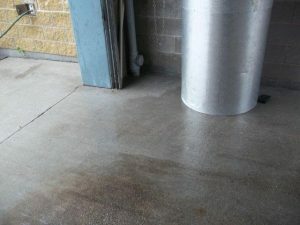 Proper cleaning and sealing maintenance has a positive impact on the life span of your concrete and it’s a cost-effective alternative to replacing it. Our team will determine which environmentally safe detergent and sealer to use and communicate the advantages of these products versus alternatives. We are also equipped to control and dispose of any wastewater generated during the project. Our commercial pressure washing equipment is designed to clean the toughest stains and dirt. Our Sparkle Wash technician will come to your property to quote the job. We don’t rely on Google Maps or guesswork like some of our competitors do. Once the quote is complete we will discuss the process and scheduling with you. Our goal is to be as non-disruptive as possible. With over 50 years’ experience, Sparkle Wash will do what it takes so you will be 100% satisfied.